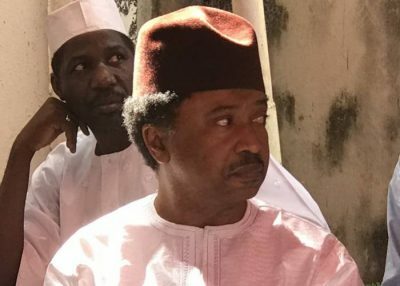 The national body of the All Progressives Congress (APC) says Shehu Sani remains its senatorial candidate in Kaduna central. Yekini Nabena, acting national publicity secretary of the party, gave the clarification in an interview with NAN in Abuja on Sunday. He said Sani was the only senatorial candidate from the zone duly recognised by the national body, maintaining that Nasir el-Rufai, governor of Kaduna state, cannot dictate to the party. El-Rufai had kicked against the automatic ticket given to the lawmaker, saying Uba Sani, one of his aides, deserves to contest for the ticket of the senatorial district. The state chapter of the APC later held a primary where Shehu Sani was said to have lost to Uba Sani. Eddie Floyd-Igbo, returning officer of the election held at Murtala Muhammef Square, Kaduna, had declared Uba Sani as the winner with 2,088 votes, while Shehu Sani garnered only 15 votes.